This recipe isn't a new one. And sadly, I didn't come up with this combination of tasty flavors, but it is so good, that I felt like I deserved a spot on my blog. I have mixed feelings about sharing recipes that you can find somewhere else, but then again, you are coming because you (hopefully) trust my taste in food and cooking judgment. 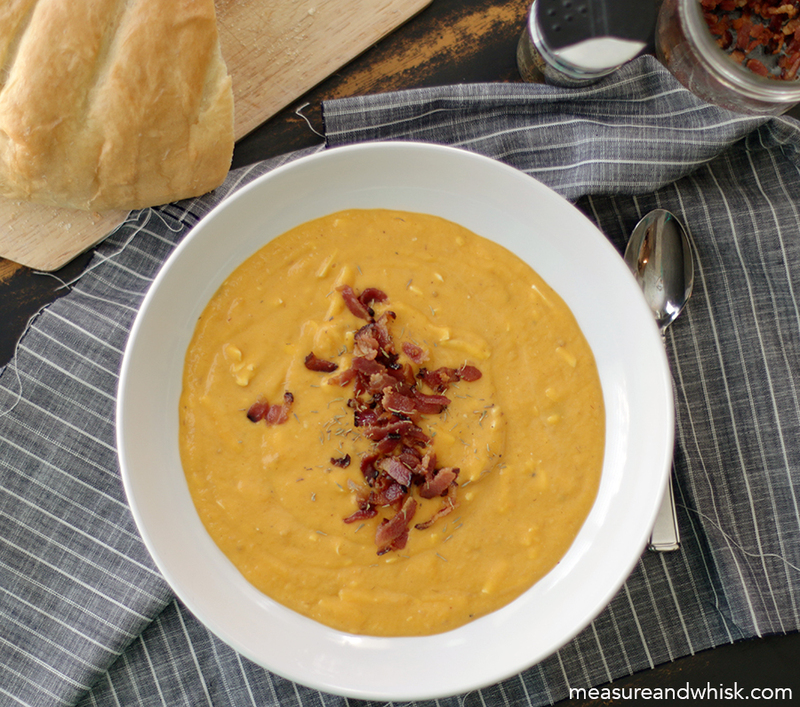 This recipe really is one of my favorites, and it is so appropriate for a chilly fall day (not that we have had too many of those around here!). 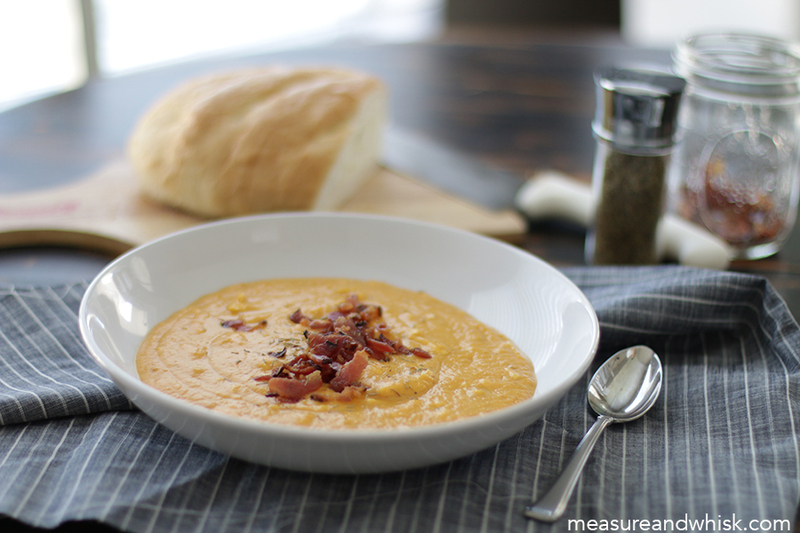 You really ought to add this one to your weekly menu right now. 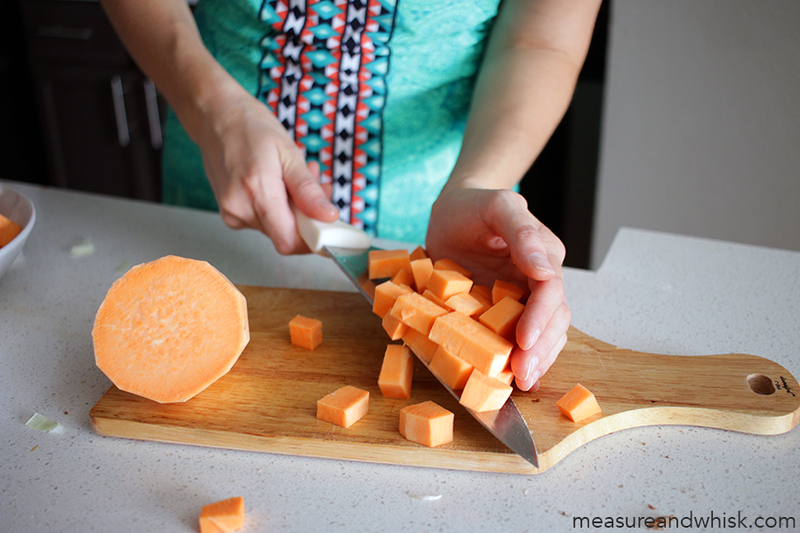 Also, you can totally use regular gouda, but smoked gouda does add a little something. 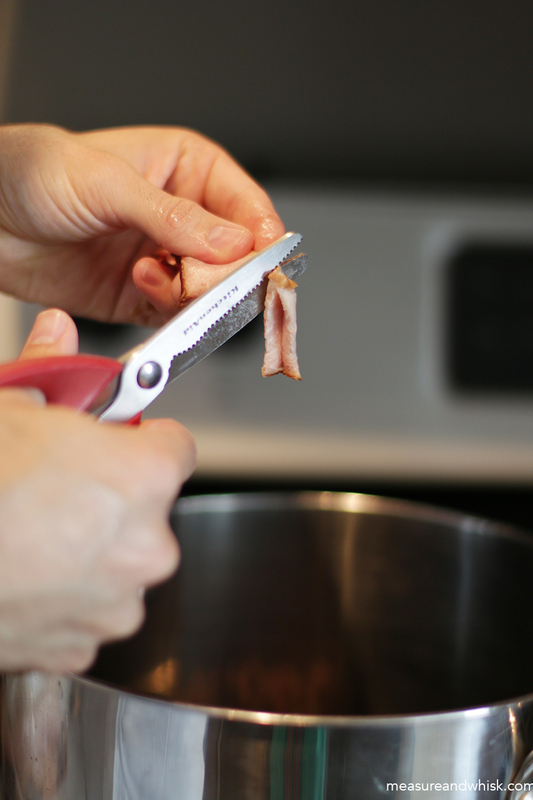 Slice up your bacon (I like to use kitchen shears and cut it directly into the pot). Cook your bacon for 8 minutes or so, until the bacon pieces are just barely crispy. Remove them from the pot and set aside. 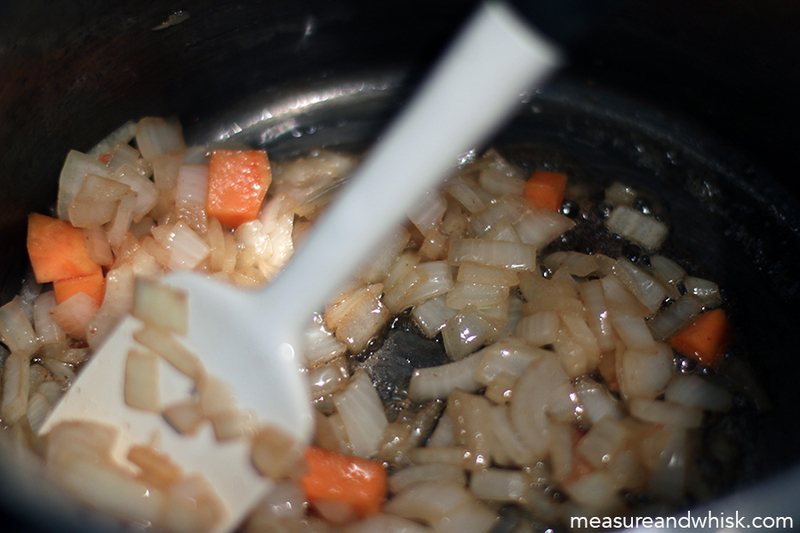 Drain all but 1 or 2 tablespoons of the bacon grease out of the pot. While your bacon is cooking in the pot, peel the skin off your onion. Chop up. 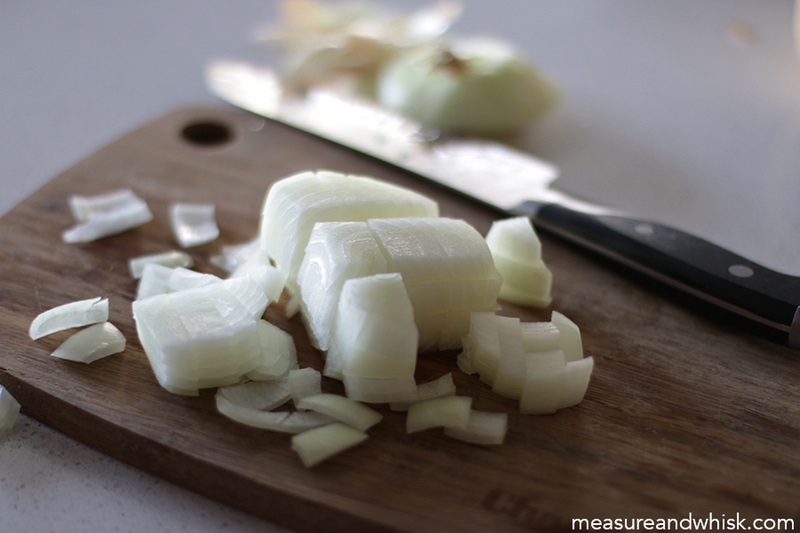 Once you have removed your bacon from the pot, add the onions to the bacon fat, and cook on low for 5-7 minutes until the onion is translucent and beginning to brown. I accidentally got a few sweet potatoes in with the onions, but this is what the onions should look like when you add all the sweet potatoes and spices. 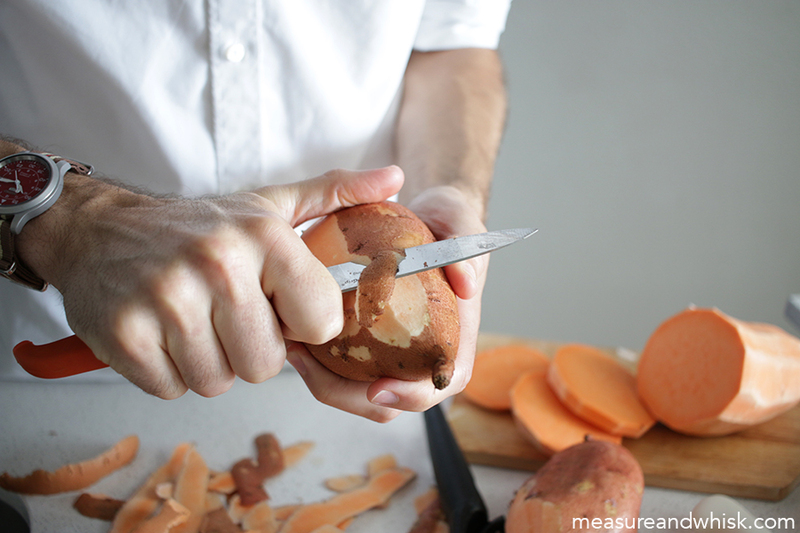 While the onions are cooking (stir them occasionally), peel and chop your sweet potatoes. (not pictured) add the sweet potato to the onions in the pot. Cook them for about 5 minutes, stirring frequently, then add the water/broth, spices and bay leaves. 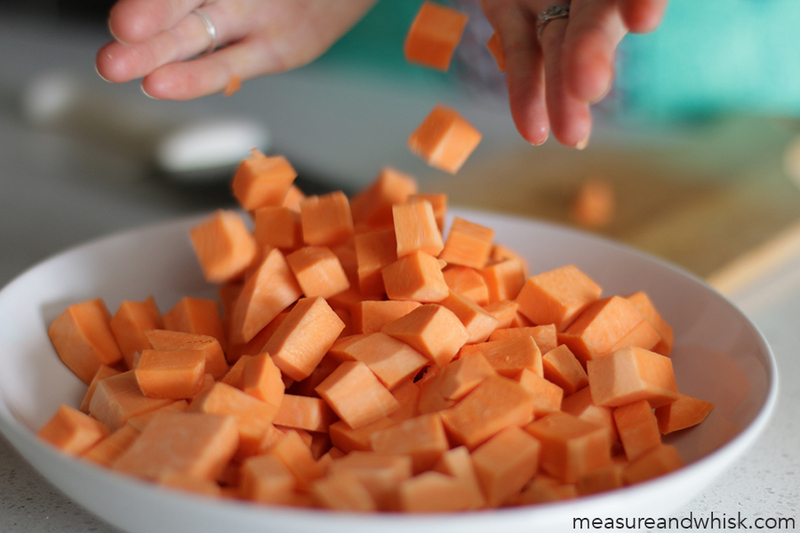 Let them cook for about 20 minutes, or until the sweet potatoes are soft. (not pictured) Remove the bay leaves, then add the whole mixture to the blender (do it in batches if you have to) add most of the bacon pieces, and puree it. 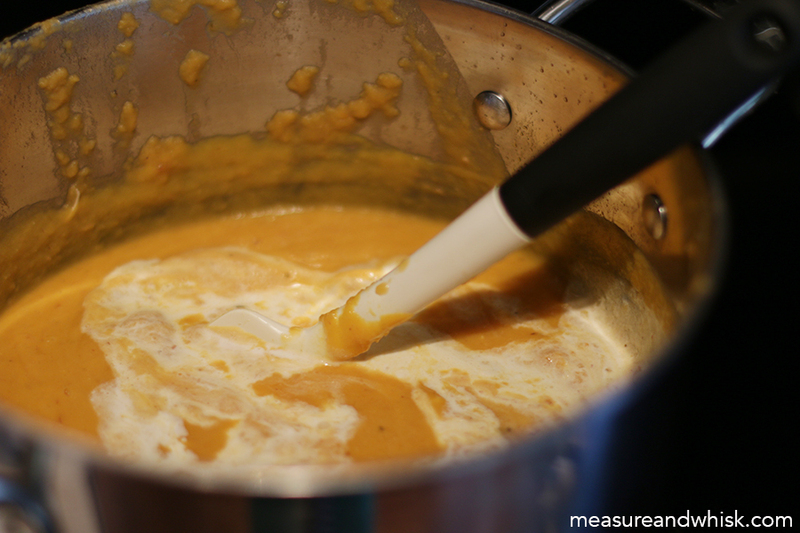 Pour the smooth soup back into the pot, place over low heat. 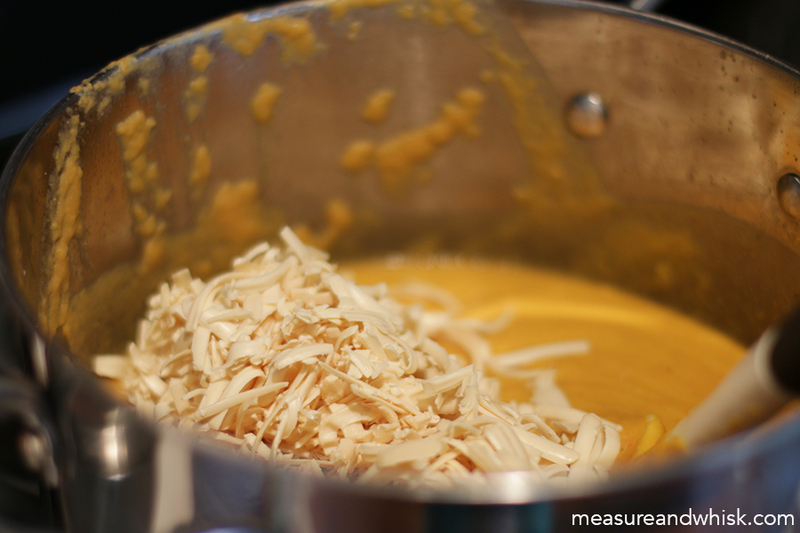 And add the shredded cheese. 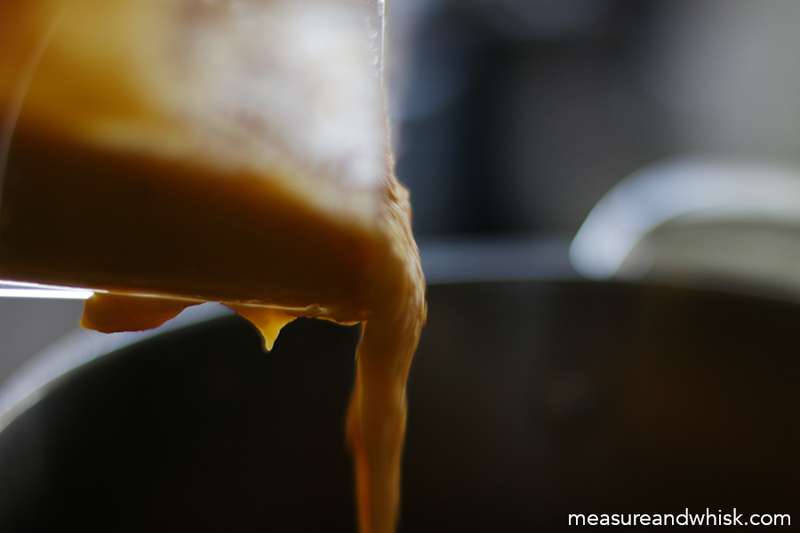 Stir until the cheese is melted (keep it at a low temperature, and give it a few minutes. Otherwise, it won't melt properly). 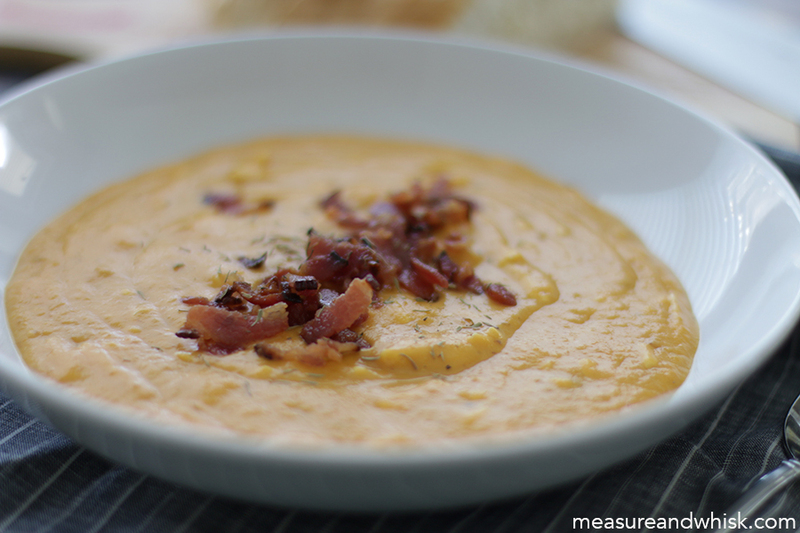 Once the cheese is melted, top with the rest of the bacon bits, and serve!